This sin’t your mother’s Tupperware party…or maybe it is. 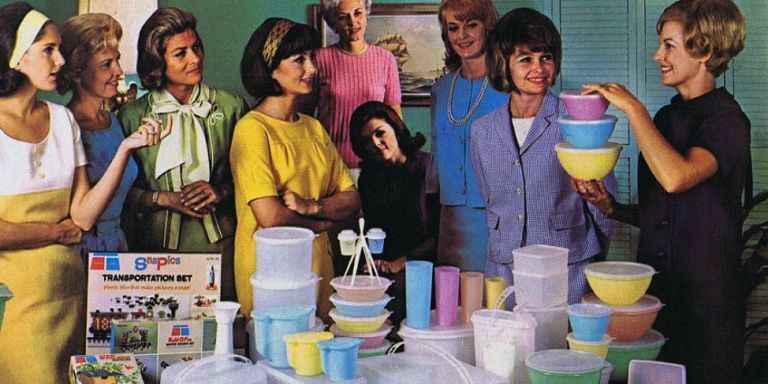 The first Tupperware Party was in 1949, hosted by a single mom, after the product failed in stores. Still thriving, Tupperware owes its success to independent sales consultants! Shifting from a salary position, or working from home, to consulting on fragrances, fashion, scents and beauty products can be confusing for most tax payers. Suddenly you must take advantage of your business deductions, incentives and liabilities instead of doing the taxes for just your family, which we know can be hard enough! Let KMS Tax Prep help you solve your independent sales consulting tax planning and filing. Take advantage of our referral program within your sales circles, Facebook groups and customers and grow your network! CONTACT KMS TODAY to set up your FREE Independent Consulting strategy meeting with our Tax Professional, certified and able to file in all 50 states.